Sabrina Votava: "Instilling hope in someone and getting people connected is a lot harder than educating someone." Sabrina Votava's family experienced unimaginable tragedy in 2003. Two separate moments that year changed Votava's life forever and led the now 34-year-old Spokane native to devote her career to helping ensure that other families in the Inland Northwest don't go through what hers did. In 2003, just six months apart, two of Votava's older brothers, Zach and Kacey Ross, ended their lives by suicide. "I think about them all the time," Votava says through tears from her home in North Spokane. "It's been 15 years and it's still hard every time I think about them — they missed a lot. They didn't get to see our family grow, and it's painful. But I think that's something that is sustaining as well, because I know how painful it is to lose someone and how much it can affect someone for the rest of their lives." After graduating from the University of Washington in 2007 with a bachelor's degree in public health, Votava went on to work for two different organizations in Washington state focused on preventing suicide. 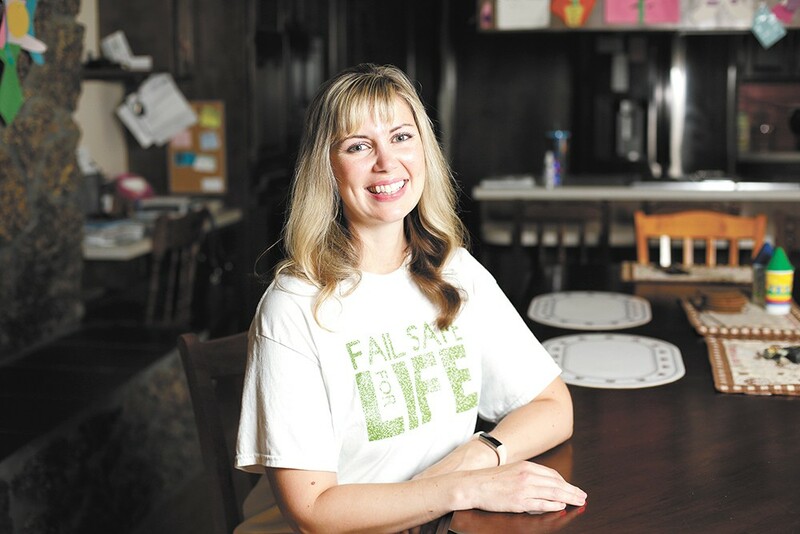 Funding for those groups in the years to follow began to wane, however, leading Votava to found the Spokane-based nonprofit FailSafe for Life in 2016. Around the same time, Votava also began working toward a master's degree in social and behavioral health at Whitworth University and is expected to graduate in May 2019. She also splits her time between raising her two boys, ages 3 and 5, and doing contracted suicide-prevention training for a few companies outside the area. Both of the suicide prevention and awareness organizations Votava worked for after getting her undergraduate degree were national or statewide. But to be most effective within Inland Northwest communities, she believed the region needed its own designated prevention program, run by local health experts and trained volunteers to aid people in crisis. "Our mission is to end suicide through connection, education and hope, and our primary focus is on education for the community because that is something I've done for several years and I've seen its effectiveness," she explains. "We are also trying to be creative about how we address some of these factors. Instilling hope in someone and getting people connected is a lot harder than educating someone" about suicide prevention tactics, she continues. To that end, one of FailSafe for Life's main focuses is offering free workshops to train people how to recognize signs of a person who may be suicidal, and how to effectively intervene. These sessions are called QPR Gatekeeper training; QPR stands for "question, persuade and refer" and teaches how to recognize a person in crisis, the risk factors of suicide, how to effectively reach out and offer support, and link a person in crisis with appropriate resources. FailSafe is hosting its next QPR training session on Wednesday, Aug. 29, from 6-8 pm at Providence Holy Family Hospital. Interested participants can register at failsafeforlife.org. Votava has also reached out to leaders in Spokane County to address gaps in public health programs addressing suicide. She recently met with U.S. Sen. Patty Murray to discuss ways that federal support could help reduce Spokane's suicide rates, which increased by 34 percent between 2016 and 2017. Compared to metro areas of around the same size, Spokane's suicide rates are slightly higher than the national average, according to the Spokane County Medical Examiner's 2017 annual report. FailSafe for Life is governed by a volunteer board of directors, which includes Votava and her oldest brother, Damian Ross. The nonprofit has two part-time, paid employees, and largely relies on grant funding, private donations and fundraising to sustain itself. Despite the emotional toll her work often brings, Votava stays focused and energized by making sure to take time for herself and her family, holding memories of her two lost brothers close and celebrating moments of success. "I've had a lot of people tell us in passing how much more confident and skilled they feel walking into a situation to help someone in crisis," she says. She recalls another time when a woman who'd been suicidal attended a QPR prevention training, later calling to tell Votava that the session saved her life. The original print version of this article was headlined "Sabrina Votava"